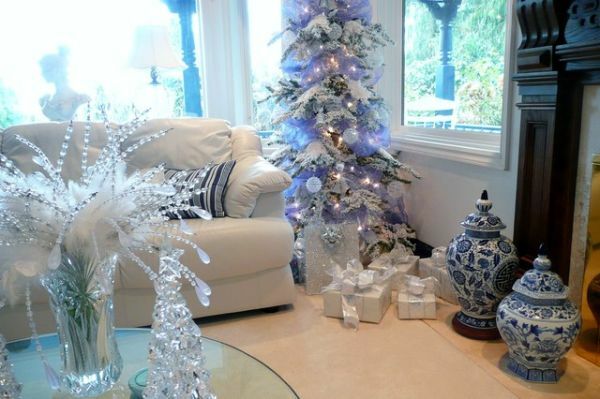 BLUE is a very pleasent colour & its one of the best decor colours cause its very soothing to eyes & looks beautiful in every shades of its own.THAN why not use blue for the christmas decor too if you are bored with the traditonal red & green colours ,BLUE candles really looks very pretty & even the wreaths. AVOID ink blue colour & go for the lighter shades . BLUE can be mixed with any colour like white , silver ,grey ,& even a bit of red too . I am sure the guest coming at your home will ask you twice for the decoration. Previous Article34 AWESOME INDOOR CHRISTMAS DECORATION INSPIRATIONS …. Next Article29 AWESOME TABLETOP CHRISTMAS TREE IDEAS FOR SMALL SPACES ……. 24 CUTE CHRISTMAS GINGERBREAD DECORATION IDEAS…..